Concordia University of Edmonton acknowledges we are located on Treaty 6 territory, and respects the histories, languages and cultures of Indigenous peoples of Canada, whose presence continues to enrich our vibrant community. 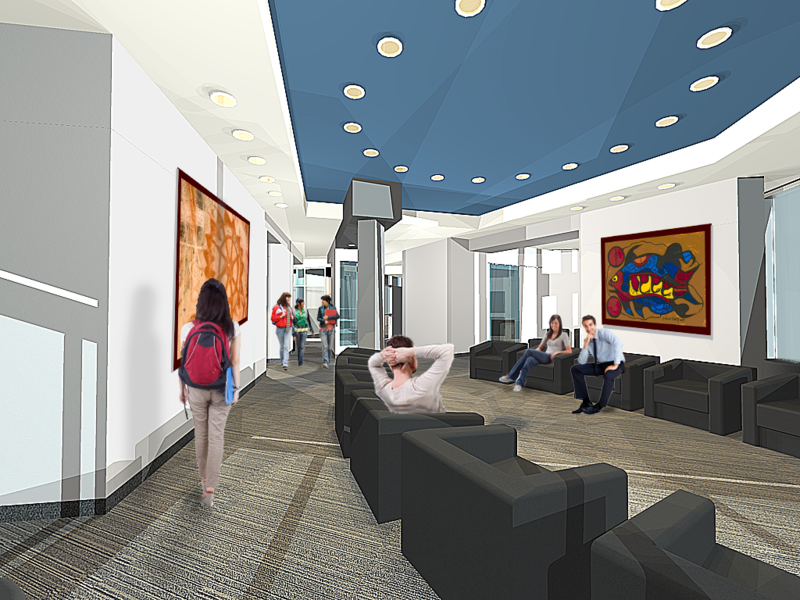 In recognition of this and its role in reconciliation, Concordia University of Edmonton launched a complete and inclusive centre directed at providing for the needs of Indigenous students in September 2018. The Indigenous Knowledge and Research Centre (IKRC) connects self-declared Indigenous and non-Indigenous students with social and scientific research opportunities. It also allows students to engage in research collaborations with key industry and community partners. Concordia University of Edmonton is committed to reconciliation that involves recognizing how colonizing structures and relationships impact Indigenous students. Our strategy builds upon initiatives and programs of education, research, outreach and engagement with an Indigenous focus. We continue to build and deepen relationships with Indigenous communities, through visits to First Nation communities, such as the Cold Lake First Nations, and collaboration with the Metis Nation of Alberta and the Rupertsland Institute. Our goals and initiatives are guided by our Elders Council, and in collaboration with the Indigenous Students’ Council and the Indigenous community. We believe that introducing students to Indigenous history, including the impacts of colonization, Indigenous ways of know and being and Indigenous culture, will enrich their educational experience, and we are committed to supporting Indigenous students through challenging times and helping them reconnect with their own teachings and practices.